Do you fear that your power may not be "far reaching" enough? How would another 6' work for you? 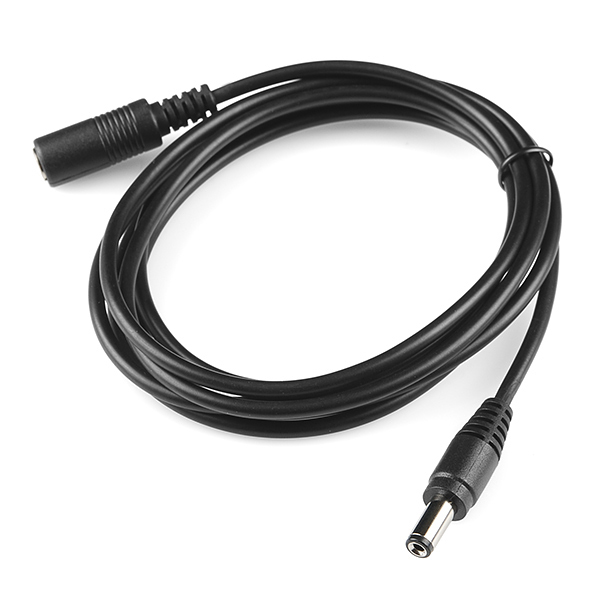 Okay, so it doesn't sound very dramatic, but sometimes an extra 6' of power cable is exactly what your project needs. 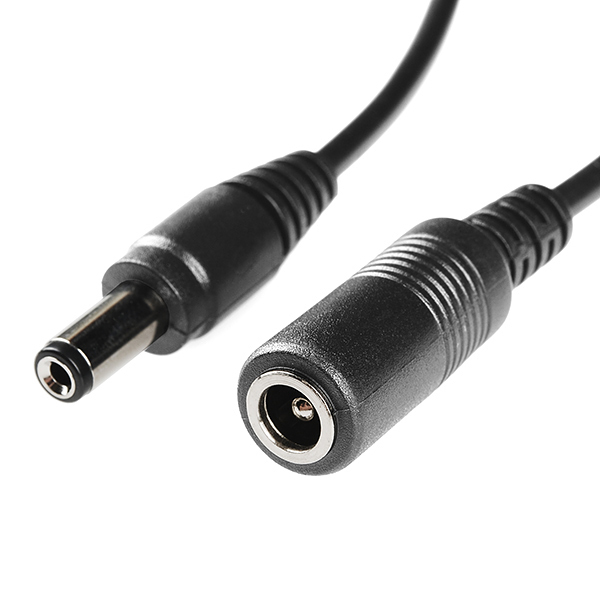 Don't hack apart a nice clean barrel jack connection just because it won't reach, this male-to-female barrel jack extension cable will make the reach. What size is the wire? How much current is it rated for? Most of these are 22 AWG, which according to http://www.engineeringtoolbox.com/wire-gauges-d_419.html means it can handle 5A. That's assuming single core, while this is probably stranded. So I'd assume 2.5-3A to be safe.